HorseWork Education presents Facilitator Training Program- Complete your application now! What is it? Strides to Success is proud to offer the newly created HorseWork Facilitator training program. This program will put you in partnership with master trainers and facilitators that have a wealth of knowledge to pass on. The program is competency based and will require participants to meet the highest of standards and requirements. 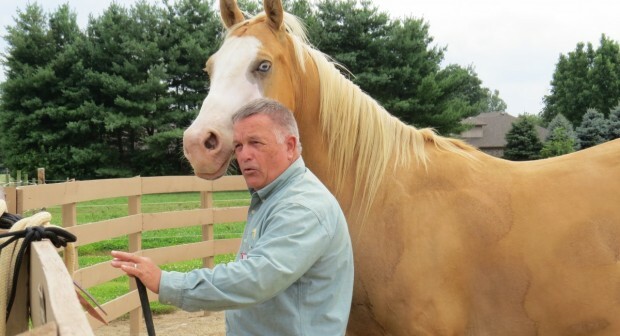 Over the last few years we have researched over 30 different certifications offered around the world and interviewed many of the pioneers in the equine assisted learning/therapy industry. Our mission was to gather best practices and determine what makes the most competent facilitators. We took that knowledge and combined it with more than 50 years of collective experience to create the HorseWork Education training programs. HorseWork Education trainings are built on real programs that have been created, piloted, implemented, evaluated and marketed for three to five years. After that process we then publish them as curriculum. Why is this important? Because you do not have to reinvent processes or programs. With this history and research based support you can add to the sustainability and credibility of your business. Simply put, why not learn how to serve multiple populations and industry’s by becoming a great facilitator and having the collective power of top notch HorseWork professionals to help support you. In this training you will gain the ability to maximize your skills as an instructor, equine specialist, mental health provider or a coach so you can love the work you do and even make a living. Who? This training program is perfect for therapeutic riding instructors, mental health therapists, personal growth and corporate coaches, educators, equine specialists, other horse professionals and those just starting out on their journey with equine assisted learning and therapy. What makes this training different? The HorseWork training is different than other programs because it gives you to get credit for your past experiences, certifications and pertinent education which allows you to move forward through the requirements. It is grounded in best practices representing many different models. It is based on highest industry standards. Focus is on applies facilitation training for both groups and one on one work. You can start the training at anytime and work at your own pace. There is an immersion option for international students and students who want a more intensive path. It provides the tools and resources to create a sustainable business. There is growth opportunity and continuing education through specialty training. It expands your abilities to a higher level of professionalism in order to meet the demands in your communities. Onsite training workshops: Strides to Success has offered high quality workshops for many years. We condensed the content into three onsite workshops that can be taken at any time and in any order. 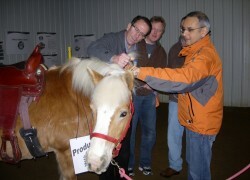 These workshops cover: business building, program development, facilitation skills, horse skills and human skills. ****Immersion Option: For those seeking to maximize their time onsite, we offer a 2 weeks immersion option. This option is an intense 2 weeks that will cover the onsite workshops. There is an additional $500 fee for that option. Online course work: We realize that there are certain things about HorseWork that can be covered by traditional classroom instruction, so we bring the classroom to you through our online platform. The courses include background of equine assisted learning and therapy as well as the theoretical foundations, research and best practices. We believe that if you are going to invest in training, then you should know where it comes from, why it works and be able to talk to others about it as well. Mentoring and practical application:Each month, students will meet together via phone conference to answer questions about course requirements, review case studies, and problem solve real client situations. Occasionally, we will bring outside professionals into the conversation to get their perspective. We require 100 hrs of documented practice. These hours could include working with real or mock clients both individually or in groups or could be in collaboration with other professionals. Three of those sessions must be captured on video and submitted for feedback. Final Project and portfolio:At the end of the journey, we require a final capstone project along with your portfolio. HorseWork associates will work with students until they are ready to graduate. There is no time restriction for completion. At the end, we require a portfolio of your experience during the program including documentation of required practicum hours. Ongoing Training: As part of our ongoing commitment to our students as professionals, we offer opportunities for growth. After graduation and documentation of 1000 hours of practice, students submit their hours and receive the Experienced HorseWork Professional as a way of increasing credibility and to reward you for your experience. Attend three onsite workshops (80hrs): (1) Business Sustainability, (2) Making the Shift to HorseWork and the (3) Facilitation Intensive or complete the immersion program. 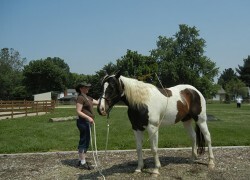 Complete online courses in Equine Assisted Learning and Therapy as well as Business Development. 50 hours of personal research into you area of interest. This can include trainings from other organizations, working directly with another credentialed facilitator, reading (no more than 10hrs), personal work, etc. Cost: The fees for the full program are $2990. (The immersion option is an additional $500) If you have already participated in an onsite HorseWork workshop at Strides to Success in the last 5 years, you can receive a credit up t0 $450 on the cost of the training program. Those are handled on a case by case basis. In addition, all of our courses qualify for PATH CEUS. Complete your application to become a HorseWork Facilitator!